Dehai News -- Eritrea: The Way Forward. For the last twenty years Eritrea went through very difficult and challenging time. That challenging and difficult time fractured Eritreans and created negative political and social atmosphere. Out of the prolonged friction and bickering many Eritrean political groups have been created. However as stands right now, we have three major Eritrean groups in the diaspora. These are Opposition, Nationalists and Government Supporters. The main difference between the opposition and nationalists is their view and stand on Country and Government. While the nationalists advocate for the sovereignty and national integrity of the country, the opposition groups, except a couple of them, advocate for the overthrow of the government. The two different approaches to political struggle ended up being irreconcilable and became the major reasons for the prolonged friction between nationalists and opposition. For the nationalists the opposition’s effort to undermine the history of the liberation struggle and ultimate sacrifices of our martyrs was a grave mistake that demands a serious apology. Moreover, the opposition’s continuous efforts to work with TPLF to overthrow the government of Eritrea while the government was struggling to defend the country’s sovereignty from aggression was another serious mistake that the nationalists think the opposition has committed. In the nationalists’ view regardless of the governments’ shortcomings, in the time of war, to defend the national security of the country, every Eritrean needs to stand together. As a result, the nationalists think that the erroneous stand of the opposition against the country’s sovereignty has prolonged the suffering of Eritrea and its people and hope this is a lesson that we all can learn and work hard to avoid it in the future. Now that the threat to our national security is removed, we all can be nothing but Eritreans. Regardless of what happened in the past, as Eritreans, we all have the right and responsibility to equally discuss on the issues that are important to the revival of our country. In the new era of peace, Eritrea needs all its children to come together and prepare the roadmap for its future growth and property. Based on that belief, I like to put my opinion on how we all can rebuild our country and make it, the country that we all wish to see in the future. For convenience, I divide my opinions and suggestions into four major areas: Economy, Politics, Legal and social. The Eritrean economy was damaged not only by the 30 years of war for liberation but also by the 20 years of TPLF’s war of aggression and subsequent no war and no peace policy imposed on Eritrea. As a result, it is clear for every Eritrean that it will not be easy to correct such long-term destruction and bring the country back to normal in a short period of time. Also, we all know that if we are going to bring our country back to prosperity and development, it requires a clear government economic policy that aims towards that end. For now, I like to focus on three government economic policies that need immediate revision. These are role of private sector in the economy, currency control and the current trade policy with Ethiopia. Role of private Sector in Eritrea. The Eritrean government policy towards the private sector is the least to say disappointing. The assumption that only government can be effective in mobilizing resources and increasing productivity or output in the country is repeating an experiment that was made by many countries in the past and failed miserably. The Eritrean government can not shut the door for Eritreans to participate in their economy. The closure of the private clinics, the closure of private construction companies, the closure and expulsion of private investors in the fishing industry, discouraging Eritrean citizens to invest in the country and pushing them out of the country, a persistent effort to make Eritreans work for the government rather than encouraging them to create their own businesses is not only misguided but also destructive. Governments cannot be a sole economic actor that employs the citizens of the country. If that is the intention, then the Eritrean government needs to make clear to its citizens that it is following the failed socialist economy. In the new era of new-found peace, Eritreans should not be victimized by the wrong economic policies of their government. In fact, such persistent action by the government on the economy is now forcing many Eritreans to doubt about the sincerity and intentions of their government. Consequently, some people that I met recently expressed to me that the intention of the government is to make sure that Eritrea remains poor so that it becomes submissive to and governable by one party system. I personally do not believe that is the objective of the government, but I strongly believe that it is with paramount importance for the government to open the economy to private investment and reduce the control of the PFDJ parastatal business organizations on the economy. The lack of supply of domestic currency in the market and tight control on withdrawals from banks resulted in a very strong domestic currency in Eritrea. The question is what does this mean to the economy? Economic theory tells us that countries with strong domestic currency are more inclined to import than export. This is because if you have a strong domestic currency, the cost of goods produced in the domestic market will be very expensive to the buyers in the intended export market. This will result in the domestic manufacturing firms closing their doors and turning themselves to import businesses. The question is if the Eritrean government wants to keep a strong Nakfa, more expensive than Birr, is it willing to turn Eritrea into import/service economy? If the government believes more jobs can be created by making Eritrea a service economy than manufacturing, then the current currency policy is a right policy. However, the consequence is severe. Eritrea will give up all small and medium manufacturing firms, including those in the Agro industry. Moreover, with the current currency policy, Eritrea will not be attractive to any foreign investor who wants to manufacture goods in Eritrea for export including to Ethiopia. Therefore, the Eritrean government needs to make clear to its people which way it is going so that experts will be able to evaluate the adopted policy’s contribution to the future growth potential of the country. Although it is too short time to criticize or support the government border trade policy with Ethiopia, the flow of goods and people between Ethiopia and Eritrea is a positive phenomenon that resulted from the normalization of relationship between the two countries. However, many people have expressed their concern that the lack of clear trade procedures in the border areas may lead to frictions between the two countries. I take this as a positive observation and concern by citizens who want to see the trade relationship between the two countries continue to grow and prosper. If we are going to believe that the two countries agreed to have free/open trade relationship, the consequence of such policy on the Eritrean economy and future trade relationship between Eritrea and Ethiopia needs to be studied. If not, leader’s goodwill may not be enough to have sustainable and effective trade relationship between the two countries. The fact that Ethiopia has an upper hand in manufacturing and the current trade policy is advantageous for Ethiopia to make Eritrea a damping market, for the short-term open trade policy may be acceptable to Ethiopia. However, by the time Eritrea specializes and comes up with products that could be exported to Ethiopia, it will not be long before the Ethiopian manufactures start to blame the Ethiopian government for agreeing with Eritrea to have an open or free trade. That was what happened during the 1993-1997 trade relationship between Eritrea and Ethiopia. Therefore, unless we are willing to let others take advantage of us, in the future, the current border trade agreement with Ethiopia may not be good for Eritrea and needs scrutiny by experts. Politics, Law and social environment. For the last 20 years the Eritrean political, legal and social atmosphere has been very bad to say the least. However, equally, it is possible to justify the shortcomings in the Eritrean politics, legal system and social atmosphere by the country’s challenging and difficult situations it has been going through. Therefore, now that the situation has changed, it is important to look forward and do some deep thinking on how to align our political, economic, legal and social environment to make it conducive to the future prosperity and growth of our common country. Bad political and Legal environment is bad for investment. Before investing in any country, any foreign or domestic investor wants to see a good economic policy, political environment, legal system and social environment prevail in the country. In the current Eritrean situation, it is less likely for the country to attract foreign investment. Off course one may argue that even though the situation of the country was bad enough Eritrea was able to attract many mining companies. But the argument may be lacking the understanding of the challenges and pressures those companies faced because they did business with Eritrea. The lawsuits against Nevsun and others are real examples of the challenges foreign companies could face by operating in Eritrea. Moreover, had we had a better political and legal environment, we could have attracted more mining companies and extracted better deals. Until recently all investments in Eritrea were undervalued. Hence it is important to revise and improve the political and legal environment. Accordingly, three major issues need immediate attention. The past Eritrean politics was a politics of war. It was based on enmity and friction. The government’s draconian actions against private press, decent and free expression of opinion has turned the bad situation into worse. Unless we change this situation as soon as possible and create a peace time political system, Eritrea will not get out of the deep whole it currently finds itself. Often the government explained that the reason for holding prisoners for a long time was because their case was related to the border war. Now that the border issue is resolved, it is time to bring the prisoners into the court of law or release them on time served. Not doing so will lead to the suspicion that the arrest of these people may have not been for the right reason. Moreover, it will have a negative effect on the future of Eritrea. Also, it may take time, but it is important to transition Eritrea into constitutional government based on checks and balances. Although we appreciate their selfless sacrifices for the 30 years of struggle and later during the challenging time of TPLF aggression against Eritrea, it is important for our leaders to understand that Eritrea does not belong to only one generation. Its development and prosperity will depend on our effectiveness to establish a continuing and participatory political system at all levels. Therefore, there should be a retirement age for government officials so that they can be replaced by younger people with new ideas and energy. If the current officials do not learn when to step aside, then the issue may not be about love of country but love of power. I hate to see being the latter. About three years ago, the Eritrean president, Isaias Afewerki, declared that Eritrea would write and unveil a new constitution. Since then nothing has been heard of about it. As a result, I believe the government and people of Eritrea perfectly know how important it is for the country to have a working constitution. Therefore, it is time to mobilize the resources and unveil a new constitution that is aligned with the country’s economic, political and social realities. If not, unfulfilled popular demand and promises will not lead to development and prosperity. To the contrary, it will lead to dissatisfaction and explosion. Among the important and cherished inheritances of Eritreans from their ancestors are hard work, openness, honesty, fairness, love for education, not engaging in unethical cultural practices, and helping each other. Currently, these values, that are an important fabric of Eritrea’s social culture, are in danger. One of the reasons for such sad situation is the damage the 20 years of war and subsequent no war and no peace policy inflicted on the Eritrean nuclear family. Recognizing its positive contribution to defense and reconstruction of the country, the prolonged national service had incalculable damage to the nuclear family. Now that the country is transitioning to peace, it is time to rehabilitate the national service members to their family. Prolonging the national service and pushing the members to the extent that they lose hop in their country and decide to end up in refugee camps in Tigray is not the work of a responsible government. 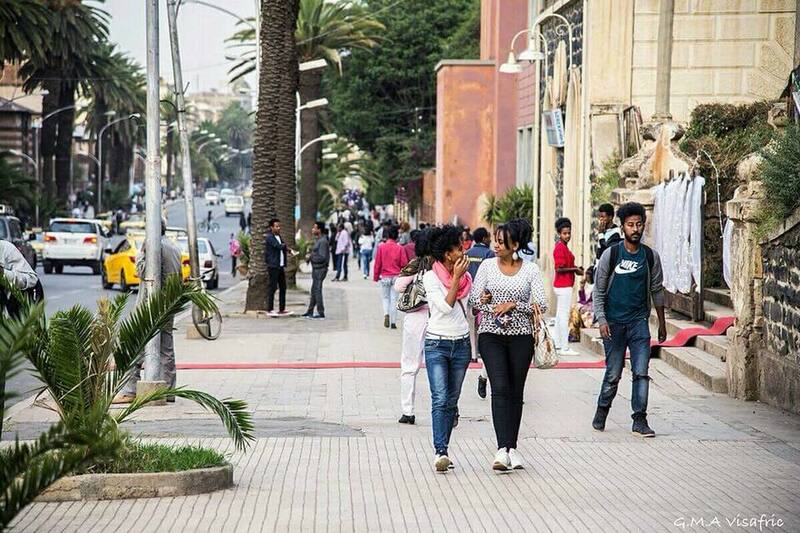 To avoid its responsibility for their rehabilitation and remove the threat to the government that may come from releasing thousands of youngsters to the streets of Asmara, pessimists expect the Eritrean government to continue pushing national service members to cross the borders to Tigray and end up in refugee camps. I am hopeful that the Eritrean government will choose the right thing to do than thinking only about protecting its power. Eritrea have been through very difficult time economically, politically, legally and socially. Fortunately, now we are at a juncture we can see the horizon of peace and prosperity. However, such expected peace and property will demand change from the war economy, political, legal and social environment into peace economy, politics, legal and social system. Many people I recently met have been pessimistic about the government’s willingness to introduce these changes. Contrary to the pessimists, I choose to remain hopeful because I strongly believe that the common goal is to see peaceful and prosperous Eritrea. If not, history will not be kind to all of us. Eternal Peace and Glory to our Martyrs.